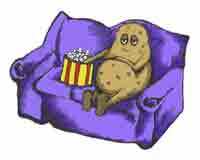 A lot of people today are living sedentary lifestyle. Individuals working in offices, students, firms, etc., are sitting down all the time and usually, they only get up when its break time, meal time and going to the comfort room. They are always sitting down the whole day while doing their work. They don’t sweat much because they usually have air-conditioned workplace and therefore, there’s no way that their body burns up the fats and calories they have stored. Sedentary living is not good for one’s health because it slows down the body’s metabolism thereby lowering the processes of the organs in the body. Slowed metabolism also delays burning of fats, cholesterol and calories in the body. There’s no wonder that many people today working in offices and are not having too much activities have large bellies. It is because all they do is sit and eat everyday. Sometimes, it is not only large bellies that are produce with inactive lifestyle but also obesity and overweight individuals. Obesity and excessive weight gain is not good for the body. It is one on the major factors that contribute to various diseases such as hypertension and diabetes. In order to prevent having those diseases, one should start daily exercise. There are many types of exercises to lose belly fat and lose weight. Although the results may not be very rapid because fats are difficult to eliminate especially if it is already stored in the body, the risk of developing heart ailments and other diseases are decreased. If one has problems on finding solutions on how to lose belly fat or reduce weight, exercise is never out of the picture. The best exercises to employ are those that produce much body sweat. Cardio exercises, brisk walking, aerobics and jogging are some examples that will sweat the whole body. If one wants to lose belly fat, he might just consider losing fats in all other areas of his body so that his physical structure will be proportioned. Once you will notice that you are gaining weight and you are inactive for quite a while, better start planning an exercise regimen. The only way you can lose weight is to eliminate the excess fats you have stored with your sedentary living and speeding up your metabolism so that fats will be burned up fast and quick. Do not wait for diseases to set in before you start living a healthy life. Start living a healthy lifestyle now.